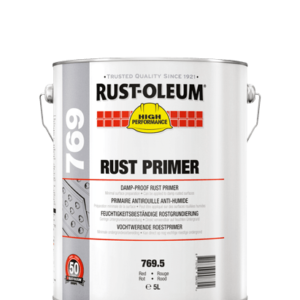 Rust-Oleum 2169 / 2182 anti-rust primer aerosols provide a quick way of priming new or slightly rusted surfaces to prevent further rusting. 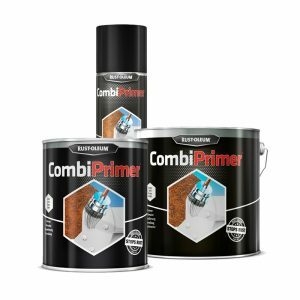 These primers are ideal for areas of light industrial exposure. 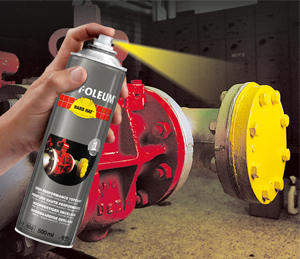 This product is a fast-working corrosion resistant primer, that also penetrates into the rusty surface. 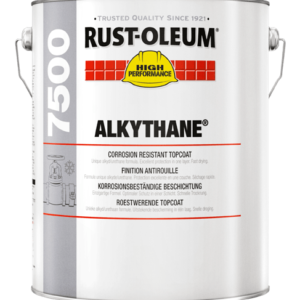 This prevents rust from being able to reemerge. 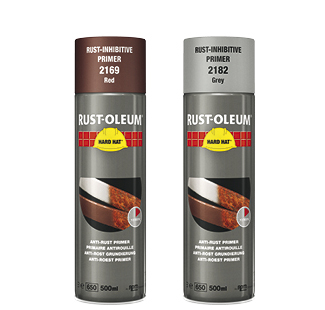 Ideal for overcoating with one of the Rust-Oleum Hard Hat Topcoats. 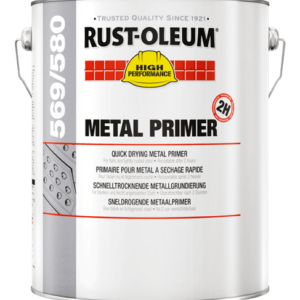 For bare steel as well as slightly rusted surfaces. 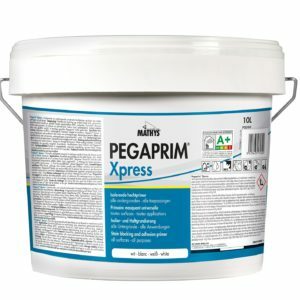 Penetrates deeply into the surface. 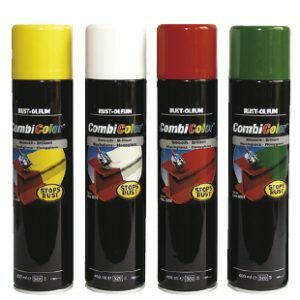 Red – good for Dark coloured topcoats.